The Quality of Life/Community Development category recognizes transportation projects that have significantly benefited the community in which they exist, especially in the form of economic growth and well-being of citizens. These projects better connect people to businesses, jobs, health care facilities, and recreational activities while also encouraging a mix of transportation modes. Priority is given to projects that enhance and support transit and non-motorized transportation. Project entered in this category should focus on how the project made the community (or state or region) stronger and better. How did this project impact the community? How did customers benefit/how did it improve the lives of citizens? Was the project focused on alternative modes of transportation and/or allow for increased multi-modal access? Is the project anticipated to benefit the local community/regional economy as a whole? What effect, if any, will the project have on the local/regional economy moving well into the future? 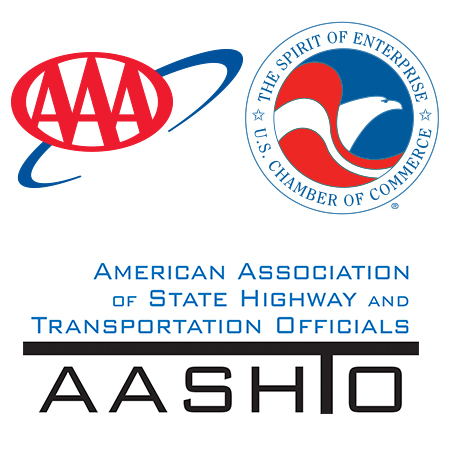 The Best Use of Technology & Innovation category recognizes new technology and/or creative/innovative solutions implemented by a state department of transportation as part of a transportation project. Nominees should focus on how the new technology or innovative solution was able to help the project in a way no other solutions could (for example, did it save time or money or help the DOT cross other hurdles?). What was the technology/innovation used to complete this project and why is it innovative? What did the customer gain by utilizing this innovation/technology? How did it impact the project in a way that would not have been possible without it? Projects in the Operations Excellence category demonstrate the ability to make more effective use of existing transportation assets in order to reduce congestion, improve reliability, address maintenance, or advance transportation systems management and operations efforts. This category will recognize those projects that delivered a more reliable, well-functioning, and/or safer transportation system through operational solutions. How did the project better utilize existing assets to increase safety, improve reliability, or reduce congestion within the transportation system to benefit users? How did customers win from this project and its operations solutions?